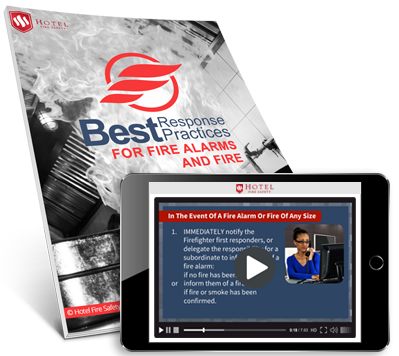 What Is Your Plan Of Action If Your Hotel Has A Fire Emergency? We've just emailed the download link to you! Every member of your hotel staff plays a huge role in assuring the safety of your hotel and it’s guests. Training them how to respond is up to you. The residing hotel manager is responsible for knowing what to do in case of a fire alarm or fire takes place. Being prepared for an emergency starts today! We’ll discuss the process from recognizing there’s a fire emergency to directing firefighter first responders upon their arrival.